Many career specialties require specific professional certification. You might have to show a certificate before you can get a license to work in your state or city, or certification could be the key to earning a higher salary. If you’re working in a difficult field such as electrical contracting, professional certification lets your clients know that you’ve mastered the skills you need to do the job properly. Professional certification as an electrician shows your commitment and reliability because you’ve put time and energy into learning how to do your job well. There are plenty of courses available for you to get electrician certificate, but not all of them are the same. Does the course give you hands-on training or only teach you theoretical information? Does the course comply with the standards of the National Electric Code (NEC)? Are the instructors professional master electricians? Does the course require you to buy your tools through the school? If so, it’s possible that it’s a scam. What happens when the course is finished? Does it lead you on to an apprenticeship, or give you a professional diploma or certification for electrician? What do you need to get an electrician’s license in your state? In some states you’ll need to pass a written test and in others you might need a bachelor’s degree. Check that whatever course you select gives you the information and specific training you need to get licensed in your particular state or city before you sign up. That way, you can avoid an unpleasant surprise after spending time and money in a course, if it’s not worthwhile. An apprenticeship run by the electricians’ union is the best way to learn the skills you need to be an electrician while joining a larger community. The International Brotherhood of Electrical Workers (IBEW) with the National Electrical Contractors Association (NECA) manage several hundred apprenticeship programs around the country. You can find non-union apprenticeships run by the Independent Electrical Contractors (IEC) or Associated Builders and Contractors Inc (ABC). 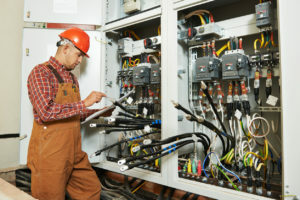 They help connect would-be electricians with apprentice jobs nationwide. Get a side job working as an assistant to a local electrician to learn new skills while also earning some money. Find a community college that has examples of electrical circuits and common appliances, so that you can practice in a safe environment without worrying about making mistakes. To have passed the journeyman electrician written test. This is usually a multiple-choice test that takes around 3 to 4 hours to complete, with a passing score generally being above 70%. In some states, you might need a bachelor’s degree. Can You Get an Electrician Certificate Online? Studying online is easier, because you don’t have to travel and you can complete the work at your own pace. But because hands-on practice is so important to electrical work, it’s not really possible to complete your entire electrician certification training online. There are a few online electrician training programs and they work very well at teaching electrical theory. Online electrician certification programs usually combine teaching information with instructions about practical exercises, but you might have trouble finding somewhere to practice if you’re learning online. You could learn your electrical information from an online course, but find a local apprenticeship or electrician’s assistant job for learning practical skills. Once you’ve got your electrician certification as a journeyman electrician, you just need to buy electrician’s insurance, hand out some flyers and start your new business as an electrician.